Roads The 1986 Flathead Forest Plan would have built 75 miles of road per year until its already abundant 4,000 miles of roads was increased to 6,000. Other assessments, however, show roads to have the single worst effect on lands and watersheds, not to mention unaffordable costs. When citizen comments were ignored, our lawsuits brought the road construction program down to essentially zero and replaced it instead with a mandatory road obliteration program . By 2015, the Flathead had obliterated 762 miles of road and signed decisions to obliterate another 126 miles. Only 13 miles of road have been built in the Flathead's roadless areas since 1986 - all good news for fish, wildlife and people. Old Growth When the Flathead National Forest tried to slow down its logging of old-growth forests because it was trashing watersheds, the timber industry filed a lawsuit to keep cutting. Our later lawsuits forced a reexamination of the Flathead Forest Plan's 100 million board feet-per-year timber sale target, which was reduced to 54. 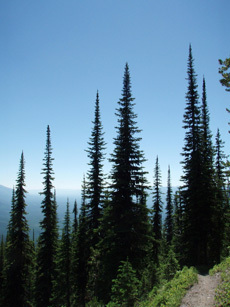 The Flathead has logged virtually no old-growth under its 1986 Forest Plan. Due to poor markets, industry purchased only 5 of the 18 million board feet of timber the Flathead offered in 2000. 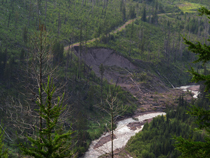 We developed and maintain an interpretive trail on the Flathead National Forest to educate the public about the difference between native old-growth forests and those that replace them after clearcutting. ORVs In 1999, we secured a court order to physically obliterate and revegetate an illegally cut snowmobile and ORV trail in the wildlife-rich Krause Basin area of the Swan Mountains. We have successfully defended the trail obliteration against a subsequent legal challenge by the Montana Snowmobile Association and American Council of Snowmobile Associations. Federal regulations clearly prohibit the unpermitted cutting of trails on National Forest lands. Five snowmobilers died by avalanche on this unauthorized trail in 1993. Legal Precedent Our lawsuits against the 1986 Flathead Forest Plan forced the agency to use the most current results of grizzly bear research. This resulted in science-based road management standards that have become the benchmark for standards on other national forests with grizzly bear habitat as well. Because they require culvert removals and road reclamation, these standards also benefit water quality, fish, and other wildlife. A lawsuit we filed in 1990 ended the permitted hunting of grizzly bear, which are listed as threatened with extinction in the lower 48 states under the Endangered Species Act. 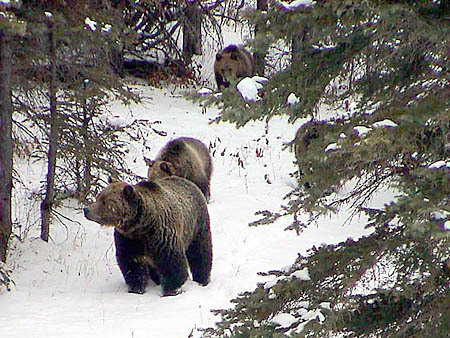 The hunt was causing half of the known human-caused mortality to grizzly bears in the Glacier-Bob Marshall Ecosystem. A lawsuit we filed against the revised Grizzly Bear Recovery Plan derailed federal efforts to remove Endangered Species Act protections from the grizzly bear. 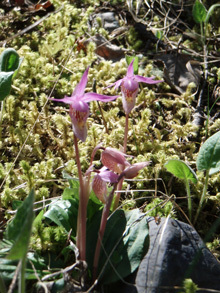 Our lawsuit settlement established clear public involvement procedures and habitat-based recovery criteria that must be carried out and considered before delisting can be attempted.